A few years ago, I planned this really great lesson. 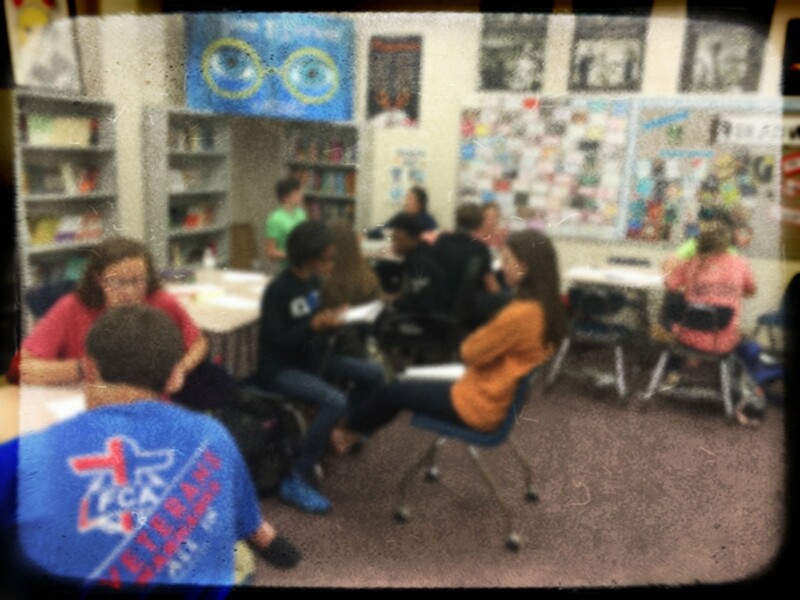 I modeled how to analyze a text by doing a read aloud/think aloud with Kate Chopin’s Désirée’s Baby. I don’t want to brag, but it was an awesome lesson. The students were rapt, they loved the story, and they wrote down everything as I marked up the text under the document camera. It was a series of beautiful moments, until I asked students to repeat the process in another one of Kate Chopin’s short stories. Many set there confused. Most annotated very surface observations about the text. I left that day confused. Well, many things happened (or didn’t happen), but one thing for sure, I hadn’t really understood the power in mentor texts and how to harness that power. I was just showing off how much I knew in a high-interest text rather than really teaching anything transferable for my students. What we teach in writing can be flipped to teach in reading. While I had a great short story, it wasn’t really a mentor texts because I didn’t teach any skills. I didn’t select purposeful moments in the text to model the SKILL work. I didn’t show the STEPS so the students could replicate the skill in their own reading or writing. There’s tons of great resources out there about using mentors. And that’s because of how incredibly powerful mentors are. Once I actually figured out that mentor texts weren’t a platform to show all I knew about a text but rather a platform to show students a way to lift their level of reading and writing craft by noticing and imitating skills, my lessons became more accessible and transferable. The students felt empowered not intimidated. Mentor texts can be found almost anywhere from published high-interest texts to student work to your mail. Mentor texts can be used to teach everything from reading skills to writing skills to grammar. Mentor texts can be used as an anchor texts in the lesson to text set for students to use on their own work to tools to be used during conferring. Just remember to be intentional, focused, explicit, and purposeful. FOLLOW #MENTORTEXT & #MENTORTEXTS ON TWITTER & INSTAGRAM FOR MORE IDEAS! Kids are great fakers. If I’m honest, I was a pretty good faker in school too. I’ll never forget a teacher saying he was going to give us a super hard test on a book and if we didn’t read it, there was no way we would make an A. All I could think was challenge accepted, dude. If I didn’t like a book, I knew ways to fake it to get the grade I wanted. Students in my classes know the same tricks – and maybe a few more (and better) ones too. I’m a part of a professional group that recently asked the same question. The answers surprised me – many were playing a game of “gotcha” with kids usually via some horrendous quiz. This brought back memories of another teacher who assigned a book – a book I loved and read every word! His quiz included questions such as how long was the rope that the character bought. I got the question wrong, and I had read the book. The fact I remember that 20+ years later tells you the impact it had on me. So, if we know kids fake it at times and we know “gotcha” quizzes can punish students who actually read, what do we do? Reading Logs– While reading logs are okay for informal formative assessments or information for the reader, they should not be used as a grade. DonalynMiller once said that reading logs only measured which parent had a pen on Friday morning. Jots– Again, jots are not bad. Jots just should be about instruction, reading growth, and the reader. Assigning 15 jots of at least 3 sentences each does little to ensure reading; rather, it often has the unintended consequence of students worrying more about jots than reading and thinking about reading. Incentive-based Programs– Whether this is a purchased program or a “homegrown” created program, incentives can often lead to diminished reading in the long run. There’s lots of research on this. I suggest checking out Alfie Kohn’s Punished by Rewards (1995). Talk to students – Conferring is arguably one of the best ways to know if students are reading. If we are using independent reading time in our class, during that time, we should be talking to kids about their reading! Students should know we are a readersby the way we promote books, make recommendations, etc. They don’t need to see us reading. They need us talking to them about what they are reading! Get students talking to each other – While the teacher/student conference is incredibly important, it is equally important to have students talk to each other about their reading lives. This can be done through book clubs or informal book talks or partner talks. Students talking about books and their reading has so many positive implications, it really is a priority to implement it in every classroom. But implemented well and with intention and purpose. Access and choice and time – Students have to have access to high interest books they want to read and the time to read them. If we get students hooked in a book, they will read. But we know that not every kid is going to be “hooked” by the same book. Students need to have choice — and to have choice they have tohave access to lots of different, high interest books that are mirrors and windows for them. Then, of course, it follows, if students have access to choose a high interest book, they will need to have time to read it. What we spend time on in our classrooms reflects our values as educators. To answer this question, I feel like you first must ask two questions: What does “reluctant reader” mean? And what is a “right book”? Many times, a reluctant reader is one who is reluctant to read the books put in front of them but would read if she found the “right” book. Likewise, the “reluctant” read-er may be one who is struggling with reading and needs support without being made to feel like they are different and somehow not a part of the real reading community of the class. And sometimes “reluctant” really means resistant reader. Somewhere (or many wheres) these kids had negative experiences with reading and just don’t want to do it. No matter the reason, the answer is to find the “right” book. But what does “right” book mean? Again, that depends so much on the reader. There are no short an-swers; no 1-2-3 that will automatically give you the right title. You have to be pa-tient and persistent. And you have to be a reader. It’s hard to think of recommendations when you don’t read. However, that does not mean you must read every single book out there or even in your classroom library. Being a reader, I know about books and authors and genres in ways I wouldn’t know if I didn’t read. I draw on my personal reading life to help find the right book for kids. Even if you are a reader and your students have access to great books in your classroom, you will still have to help a kid who doesn’t have a reading life figure out how to find “right” books. This starts with a conversation. And I do mean, sitting down and talking one-on-one with a kid, asking questions and really listening to what he says and doesn’t say. Why don’t they read? When did they stop reading? What kind of stories do they like? What are they willing to try? From conversation, you should be able to recommend 3 to 4 books for the reader to check out, preview, decide which one he wants to try out. Give her permission to abandon the book after 10 or so pages and try another one. Maybe even read a few pages with him. If you can, get her hooked in a series, so she’ll know where to go for her next book. The goal is to have kids – all kids—fall in love with reading, so much so that they become lifelong readers. This may seem like a lofty goal for a “reluctant” reader who can’t seem to find the “right” book. We open the doors of the world for kids when we take the time, not to find a Lexile or reading level, but to find a book they just can’t put down. Or we close doors for a lifetime. We owe it to all our kids to be patient and persist in our pursuit to help all readers find the right book. And the next right book. I haven’t posted in … well, it’s been a minute. One of my goals is write again here. I asked some colleagues what they thought were 6-12 grade ELA teachers “burning questions.” And let me just say, I have the BEST colleagues. They were so thoughtful in their responses — which helped me launch this new series for my blog. PS — At the end of each post, you will find a link to a fancy one-page PDF (shout out to my incredible brother for designing it!) with the information in the blog — including resources. I once taught a class of 32 high school students in a single-wide trailer. One morning, I literally found a student on the roof of the trailer. And who could blame him? We were packed! At this point, I had yet discovered the power of the classroom meeting space. But thinking about how cramped we were in that trailer brings great empathy for teachers trying to create meeting areas in less than ideal spaces. I think the first thing we have to realize is the power of the meeting area. I was a little late to this party. As a high school teacher, I felt the meeting area to be way too elementary for me. Then, challenged by one of my mentors, I tried it. It wasn’t childish at all. Most of my students loved it! It built a sense of community in a way that really can only be accomplished through this closeness of learning together. Once you decide that a meeting space is a priority, you have to make it happen. It took me many tries and student help to figure out how to really arrange the classroom in a way that worked. I finally settled on a student-design of desks in groups of four forming a U-shape with the open area in the middle my meeting space. You can see pictures here or here. At this point in my career, I was lucky enough to have a nice space to do this. Thinking back to my trailer days, I wonder what I would have done. I know it would have taken a lot of thinking, moving, organizing, sweating, and prioritizing. What is the teaching space vs teacher space vs working space ratio in my classroom? How does the way my space is organized reflect my teaching values? What do I have to keep and what can I get rid of? Can I make any space work for more than one thing? Is there awkward space I can repurpose – such as lockers, under the whiteboard, etc? Last, I would leave you this suggestion. Start at the beginning of the year with a meeting space. Even if you are unsure about it, start at the beginning and do it with a positive attitude. As we begin another school year, I wish . 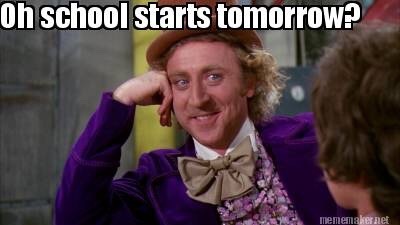 . .
Our teachers went back to work last Wednesday; students come back tomorrow. In the last two weeks, I’ve been asked numerous times, “Are you ready for school to start?” When I respond that I am excited, without fail, I get the shocked face. People are never ready for that response. I’ve been in church my entire life, and I have had the honor to hear many missionaries who have come back to the States for a furlough of sorts – to rest and refresh, spend time with family, raise funds, and so on. I can’t remember ever hearing anyone ask missionaries if they were ready to go back to their mission field. Likely because any time they talked about their mission field, their faces radiated with enthusiasm and passion. They believed in their calling and their impact. I’m sure they loved seeing family and friends, shopping at American stores, getting favorite foods they couldn’t get where they were. And rightly so. Just like we, as educators, should enjoy our summers. It is a needed time of rest and refreshing. Some of us work additional jobs or travel and visit family. We get to have our morning coffee without carrying a stack of papers with us. Or have lunch at our favorite places and take longer than 30 minutes to eat. 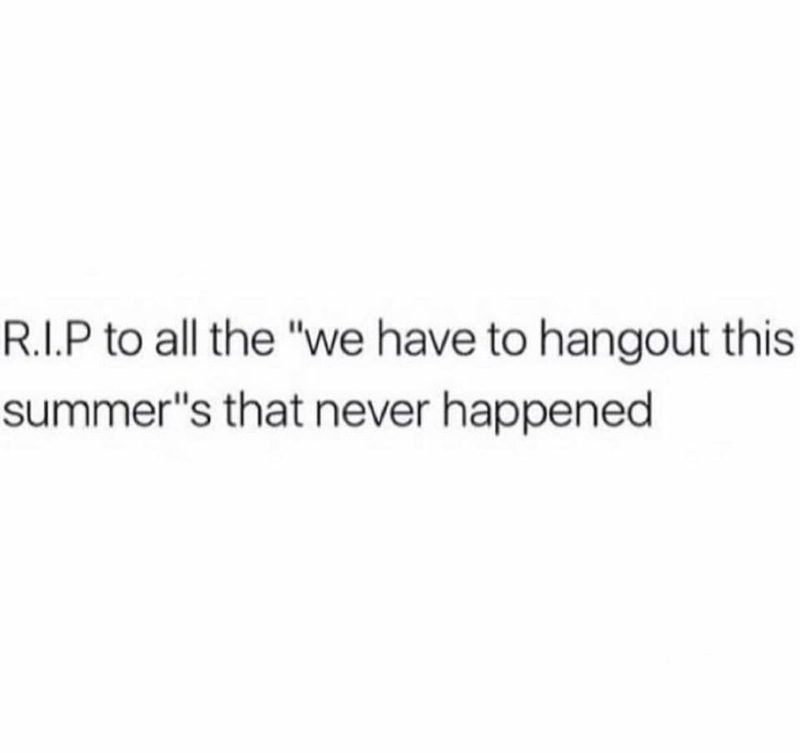 And summer does always seem short. Many of us will go back without finishing all the projects we wanted to get done or visiting all the places we wanted to go or reading all the books we wanted to read. But that doesn’t mean we shouldn’t be excited about our job, our calling. We are about to walk into classrooms filled with students – students we can directly impact. We matter. Our job matters. Our perception of our job matters. And how we portray our job to others matters. So I wish for you the excitement of a new year filled with possibilities. I wish for you the passion to make a difference in the lives of the students in your classroom. I wish for you the overwhelming love of what you do every day. I wish for you the compassion for the difficult times and the difficult people. I wish for you the desire to continue to learn, to become better at your craft. I wish for you the friendship of colleagues on this journey with you. I wish for you the classroom that is full of risk-taking and writing and reading and talking. I wish for you the vision that sees beyond today to the future of these students. I wish for you the sense of urgency to know what you and how you teach matters. I wish for you a school filled with great educators doing what is right for students. I wish for you the best year yet.